The arrival of Air Canada flight 1928 at Bucharest's Henri Coandă International Airport marks the launch of twice-weekly Air Canada Rouge seasonal service to Bucharest, Romania. 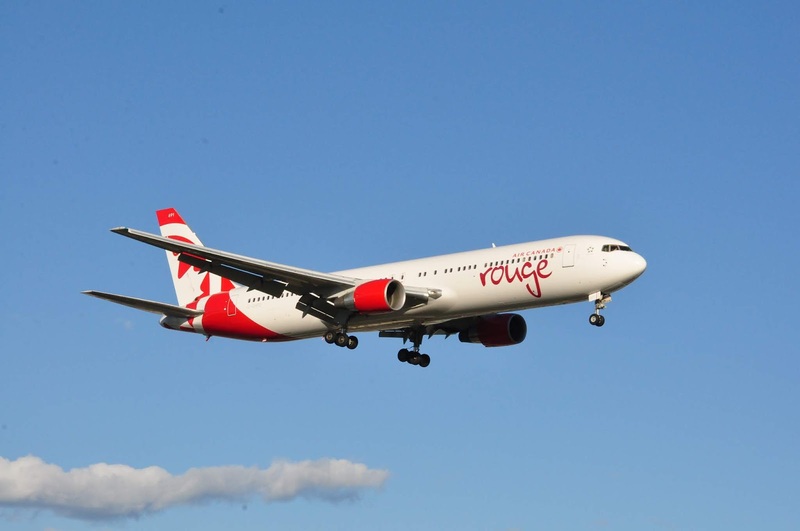 Flights will be operated with Air Canada Rouge Boeing 767-300ER aircraft featuring Premium Rouge and Economy class service and are timed to optimize connectivity from across Air Canada's network through Air Canada's Montreal hub. "The Montreal-Bucharest flight is the first direct air link between North America and Romania. It paves the way for the deepening of bilateral trade between Romania and Canada, be it commercial, personal, cultural or tourist. This is very good news for the Romanian business community in Quebec, which in recent years has seen some of the most dynamic growth in Canada. I congratulate Air Canada and Aéroports de Montréal for their initiative and efforts to put this service in place. Air Canada can count on our support to help make this new direct air link a success", said Mrs Adina Georgescu, President of the Romanian Chamber of Commerce of Quebec.